KFC has a new coupon offer on their tasty Popcorn Chicken Combo that you’re going to love. Get a large order of Popcorn Chicken, one side dish and a medium drink for only $3.99. Coupon is required. 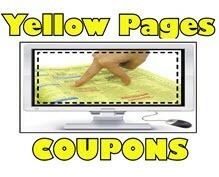 Go to KFC Coupons, check out our featured offers, and then link directly to the site. Register there, if you haven’t already done so, to receive this and more exclusive coupon offers from KFC.